Rozerin wanted to study music and learn notes. On the encouragement of her great brother Cömert she started at the music conservatory in Elazig. 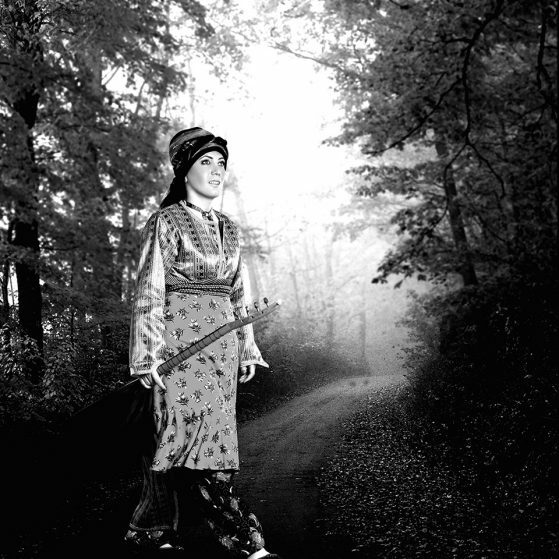 At this time, it was forbidden to speak or act in Kurdish, but Rozerin defied the prohibition and sang and secretly played in his native language. The political situation in the country of origin eventually became unsustainable for the family, and Rozerin fled to Sweden where she lived and worked since 1988. Rozerin Kahraman in front of folk in Kurmancî, Zazakiska (Dimilî) and Turkish. She has performed in both radio and television as well as at festivals and concerts in many countries around the world. She has released two albums, three music videos and also guested on other artists’ recordings. Rozerin writes his own material himself. The music convey the desire for freedom and protest against injustice, but also love and sensuality. Her motto is “My songs are a cry for freedom!